Douglas House offers affordable accommodations in Old Town Key West, within short walking distance to both the Ernest Hemingway Museum and the Southernmost Point. And Mallory Square, countless restaurants, bars, shops, art galleries and museums are also within walking distance. The property has beautiful tropical gardens and a refreshing swimming pool which makes it seem like a tropical oasis that you will not want to leave. In addition, FREE parking, FREE Wi-Fi and complimentary tea & coffee are available all day long. Because this property is so large with so many rooms, Douglas House is a wonderful property for large groups to stay at. The staff is friendly and helpful too, and that makes big points in my book. Each suite is different, varying in size and style. Our standard Deluxe Rooms will appeal to the economy-oriented traveler. Our Deluxe Rooms are equipped with private bathrooms, color TV, private phone, Mini-refrigerator, microwave and air-conditioning. Each deluxe room is decorated tastefully in a contemporary fashion. 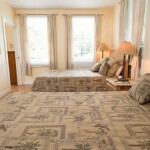 Sago Palms at the Douglas House is one of their deluxe guest rooms. 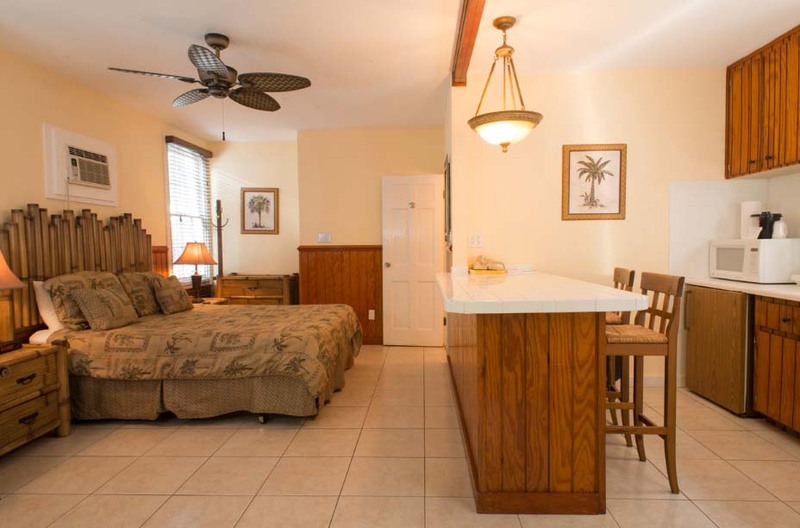 Sago Palm – Spacious deluxe room with two full-size beds, mini-size refrigerator and microwave, private bathroom with shower, wood floors throughout and a porch that overlooks our charming Old Town street. This unit can accommodate up to four occupants at an additional charge. Peach Palm – Spacious deluxe room with one queen-size bed, mini-size refrigerator and microwave, private bathroom with shower, and a porch that overlooks our charming Old Town street. Queen Palm – Recently remodeled Deluxe room with 1 Queen Posturepedic Bed, mini fridge and micro wave and a private bathroom with shower. King Palm – This charming deluxe room has one queen-size bed, mini-size refrigerator, microwave, and private bathroom with a shower. Decorated in a contemporary style. Our comfortable suites will undoubtedly appeal to those looking for more space and a great view of the exquisite pool and garden area. Each suite varies in size, style and bedding, so please be specific in your needs. Some suites are equipped with a full kitchen, while our other suites offer a separate living room, bedroom and kitchen area, while our more compact suites feature living, sleeping and kitchen areas all within in one room. Our suites are decorated in a tasteful contemporary fashion, but unlike our deluxe rooms, many of our suites include private porches or balconies overlooking our garden and pool area. 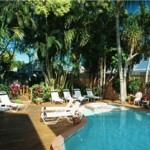 Fishtail Palm is one of the many suites at Douglas House Key West, FL. 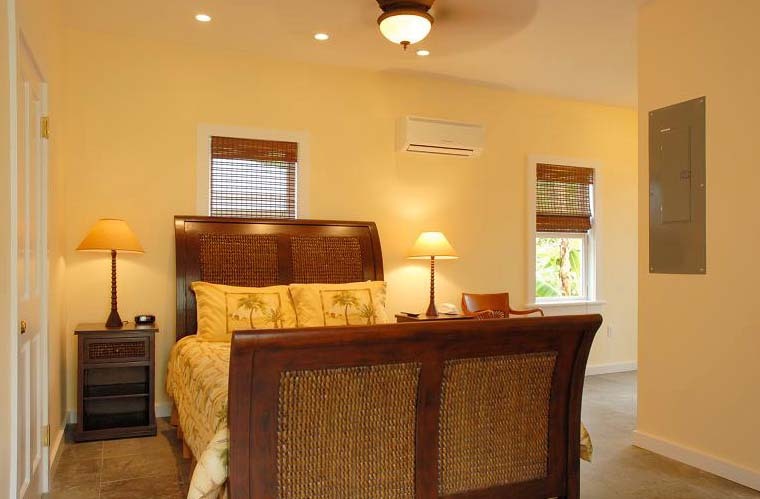 Bamboo Palm – Charming, newly remodeled Superior Queen room. This unit offers a wetbar with mini refrigerator, microwave and coffee maker. It has private bathroom with large oversized tiled shower and flat screen LCD TV. Christmas Palm – Charming loft suite with a queen bed in the loft overlooking living room below. Includes mini-kitchen. The living room sofa is also a queen-size pull-out bed. This room also has a large private balcony that overlooks our lilly pond and tropical gardens. There is a shipstyle ladder to the loft. This unit will accommodate up to four occupants at an additional charge. Coconut Palm – Charming loft suite with two queen beds, private bathroom with shower, and a kitchen. This private balcony overlooks our charming Old Town street. There is a shipstyle ladder to the loft. This unit will accommodate up to four occupants at an additional charge. Fishtail Palm – Charming suite with one queen bed, full kitchen with mini-size refrigerator, private bathroom with shower, and a covered porch overlooking our tropical garden and lilly pond. Once here, you’ll soon learn why this is a favorite among our previous guests. 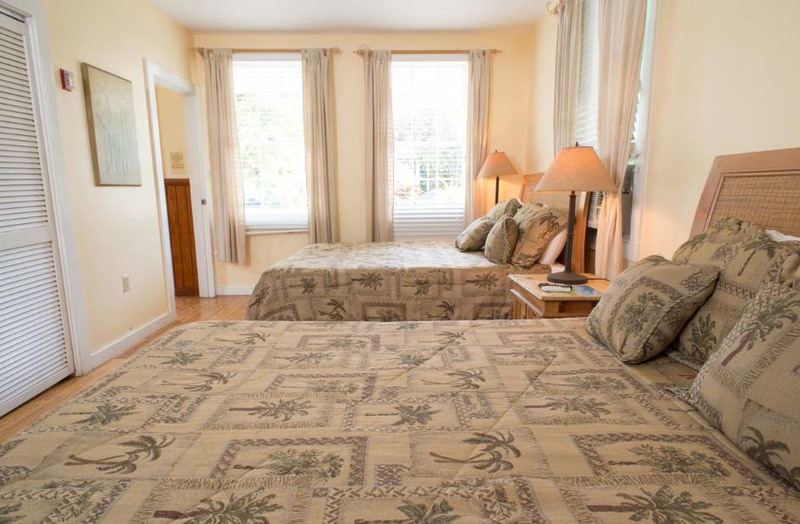 Bamboo Palm is one of the suites you can reserve at the Douglas House in Key West, FL. Palmetto Palm – This very spacious suite offers two queen-size beds in the bedroom, a queen-size sleeper-sofa in the living room, full-size refrigerator in the lengthy full kitchen, private bath with a shower, and a balcony overlooking our charming Old Town street. 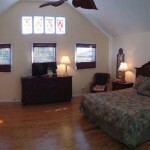 This suite will accommodate up to six occupants at an additional charge. Royal Palm – A magnificent suite with one king-size bed and queen-size sleeper sofa, mini-size refrigerator and microwave, full bath with shower and a balcony overlooking our charming tropical garden and pool area. Ideal for honeymooners. Sugar Palm – Spacious suite with two queen beds in the bedroom. There is a small living room, mini-size refrigerator and microwave, full bath with shower and tub and a balcony overlooking our charming tropical garden and pool area. Decorated in a contemporary style. This room will accomodate up to four occupants at an additional charge. Travellers Palm – Charming suite with one queen-size bed in the bedroom and one queen sofa-sleeper in the living room. Other amenities include a mini-size refrigerator, private bathroom with shower, and a compact kitchen. This suite offers tile floors, loft ceilings and a contemporary decor. It will accommodate up to four occupants at an additional charge. 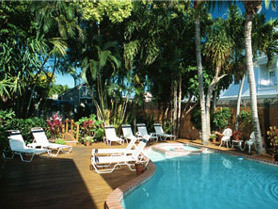 Royal Palm is yet another suite available at the Douglas House in Key West, FL. Bismark Palm – Very spacious,newly renovated Superior King Suite, located on the ground level.This beautiful unit offers a king bed in the bedroom and queen sleeper sofa in the sitting room, private bathroom with shower and adjacent vanity area. It has wetbar with mini refrigerator, microwave and coffee maker, LCD flat screen TVs located in the bedroom and sitting area. Can accommodate up to 4 occupants at an additional cost. 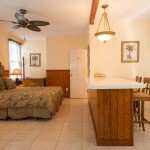 Bottle Palm – Beautiful newly renovated Superior King suite, located on the 2nd floor. This unit has a cathedral ceilings, king bed in the bedroom, queen sleeper sofa in the sitting area, wetbar with mini refrigerator, microwave and coffee maker, LCD flat screen TVs in the bedroom and sitting area. Can accommodate up to 4 occupants at an additional cost. 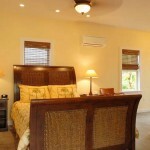 Triangle Palm – Spacious and newly remodeled,this Superior King suite is located on the ground level. It has a king size bed in the bedroom and a queen sleeper sofa in the sitting room area.Other amenities include a wetbar with mini refrigerator, microwave and coffee maker, private bathroom with shower and LCD flat screen TVs in bedroom and living room area. Can accommodate up to 4 occupants at an additional cost. With Douglas House being in the heart of downtown, you can walk to many awesome attractions and restaurants in mere minutes. The Hemingway House, The Lighthouse Museum, and the Southernmost Point are just steps away, while popular bars like Sloppy Joe’s, Irish Kevin’s, and the Green Parrot are a short walk away. The Six Toed Cat Restaurant is very close by as well if you wanted to go out for breakfast or lunch.